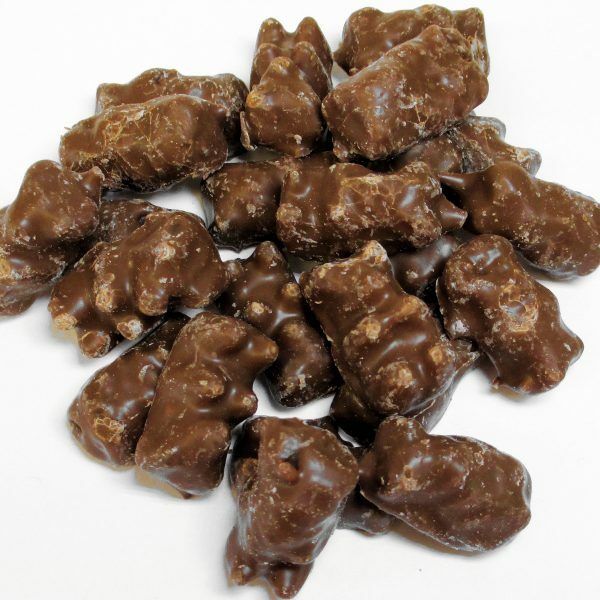 Home / Products / Chocolate / Chocolate Specialties / Milk Chocolate Covered Gummi Bears, 1 lb. Gummi Bear [Corn Syrup, Sugar, Gelatin, Citric Acid, Natural and Artificial Flavors, Titanium Dioxide, Artificial Color (FD&C Yellow 5 & 6 and Red 40), Vegetable Oil- Coconut and Carnuba Wax] and Milk Chocolate [Sugar, Whole Milk, Cocoa Butter, Chocolate Liquor, Soy Lecithin (an emulsifier) and Vanillin- artificial flavor]. May contain Wheat, Milk, Peanuts, Tree Nuts, Soybeans and/or Eggs.